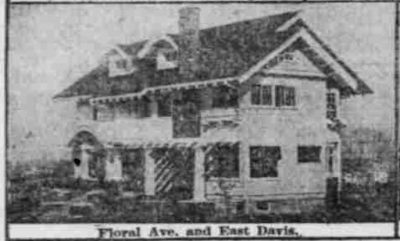 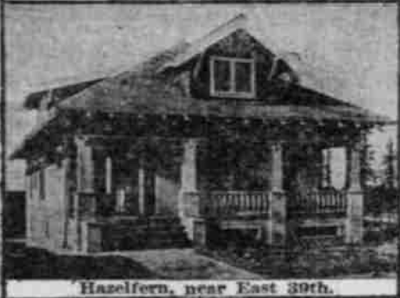 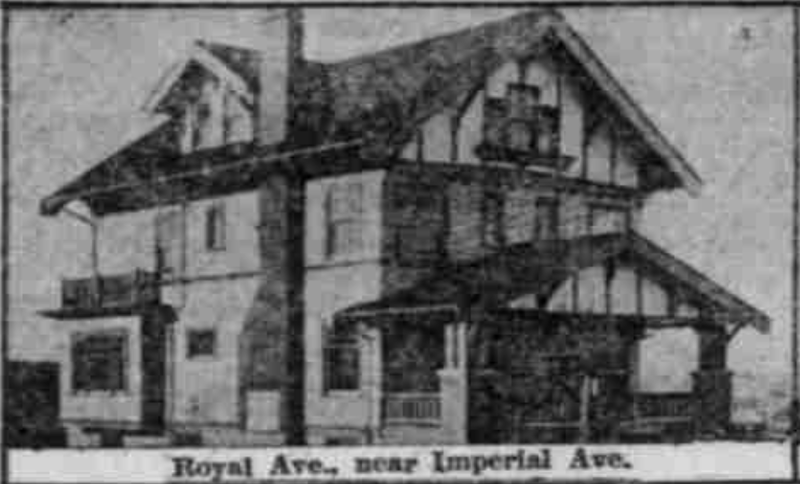 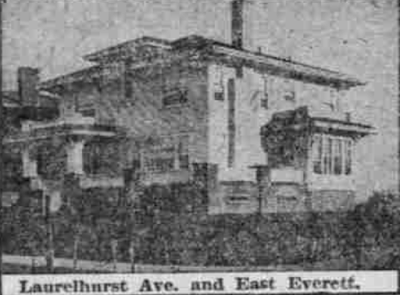 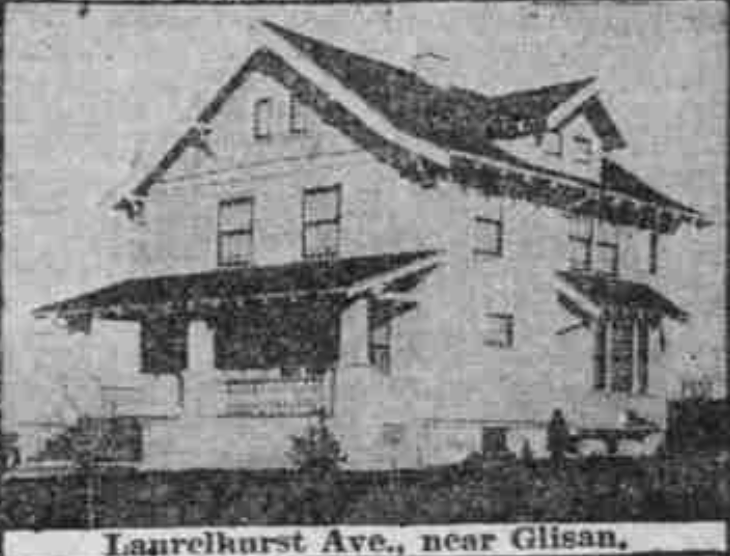 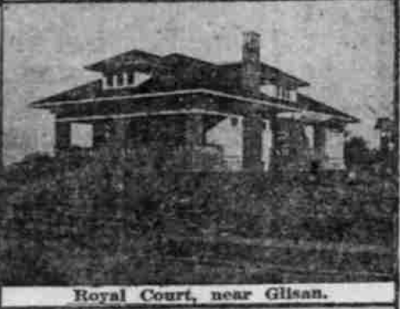 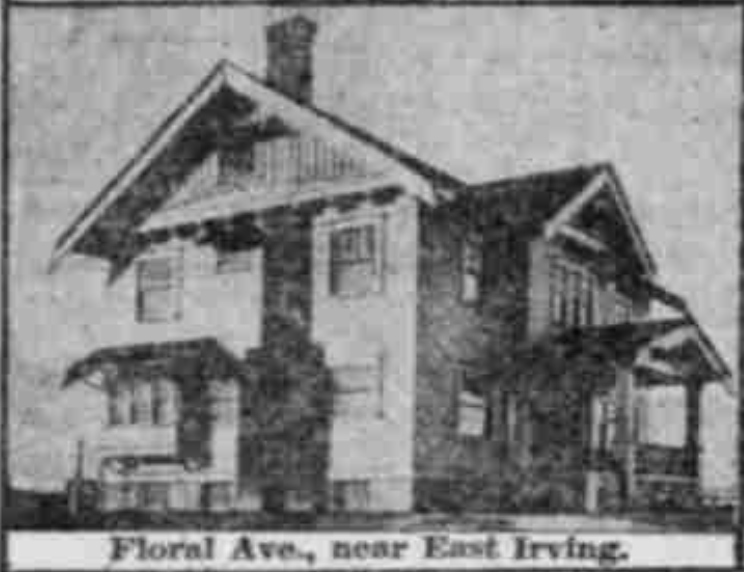 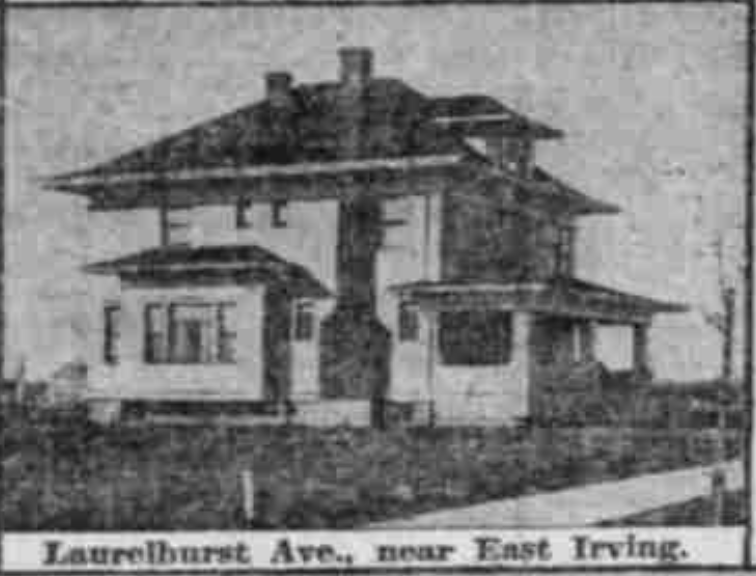 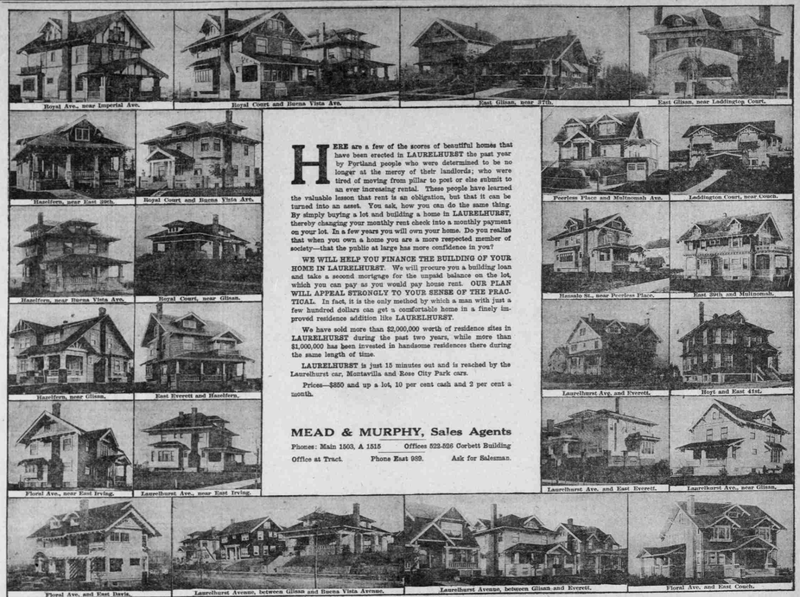 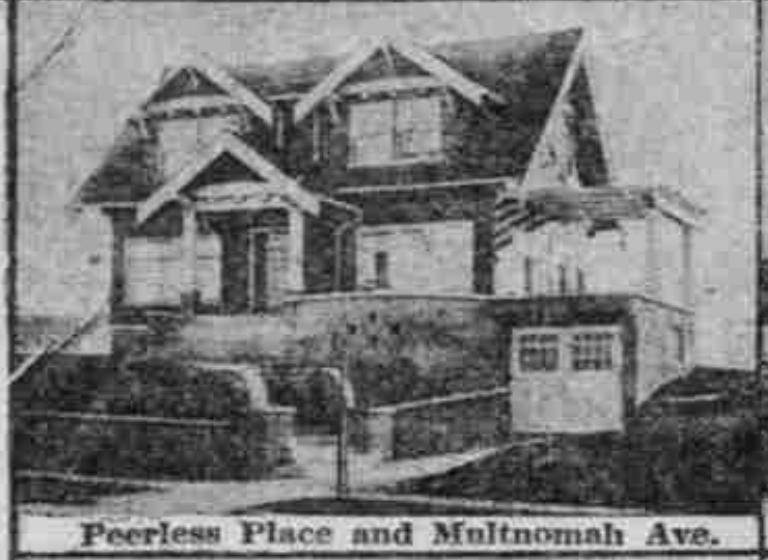 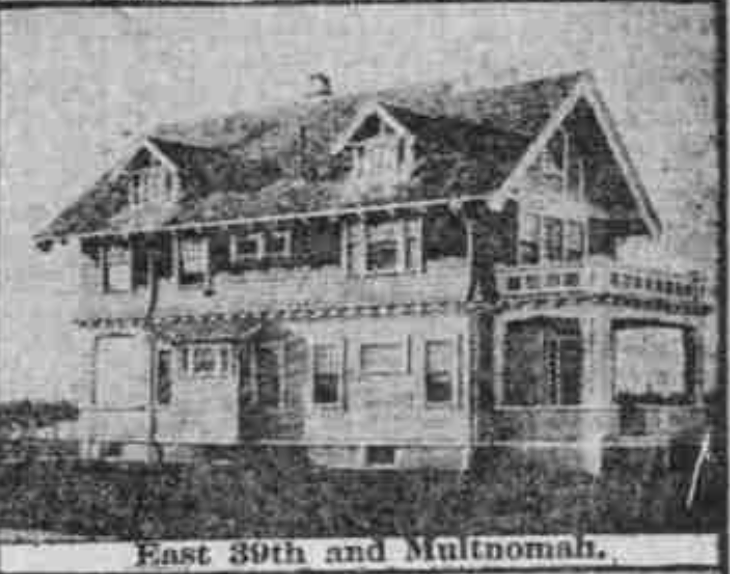 In The Morning Oregonian, 8 Nov 1911, Mead & Murphy took out a half-page ad and showed many pictures of finished homes in Laurelhurst. 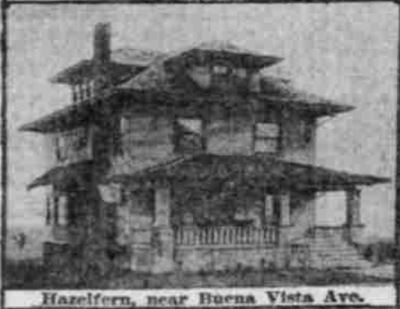 It's so big, I had to downsize it to capture the screenshot on my computer screen. There are so many homes on here, I think it's worth a separate post on its own, so I can show close-up photos of each house. 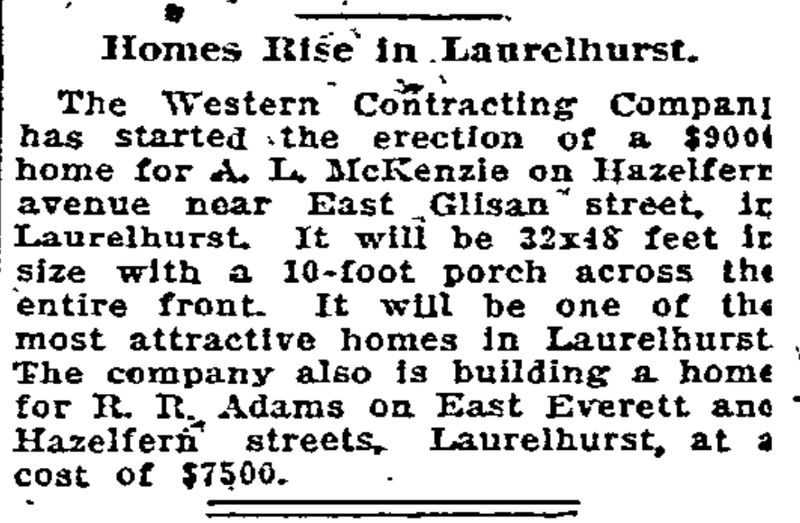 The Western Contracting Company has started the erection of a $9000 home for A.L. 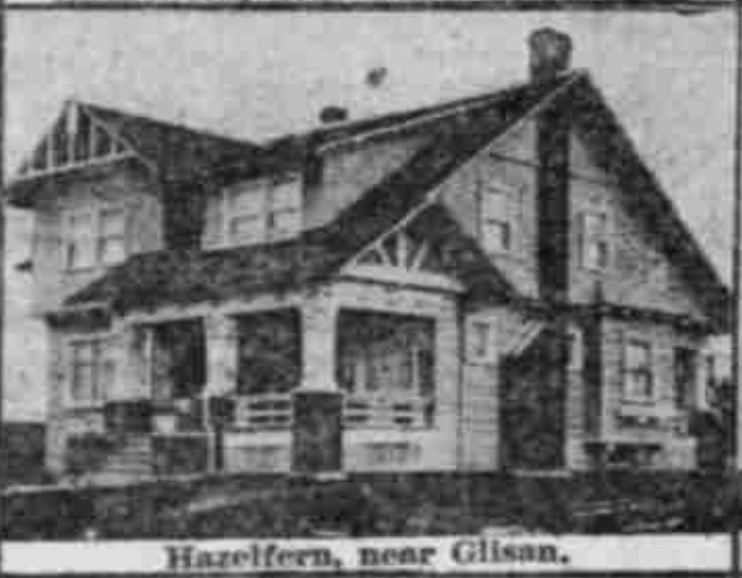 McKenzie on Hazelfern avenue near East Glisan street, in Laurelhurst. 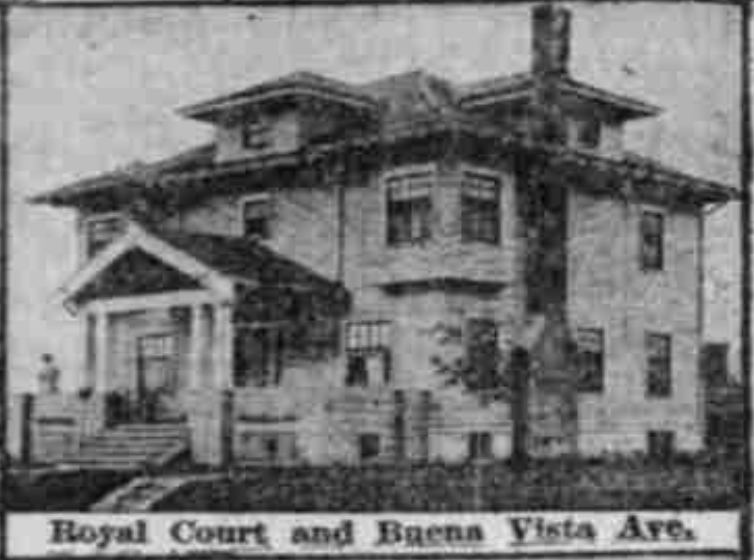 It will be 32x48 feet in size with a 10-foot porch across the entire front. 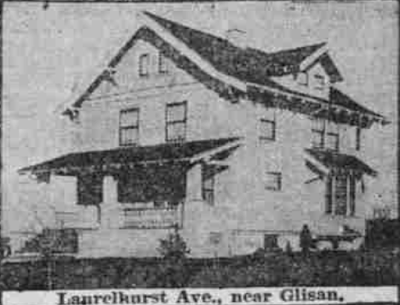 It will be one of the most attractive homes in Laurelhurst. 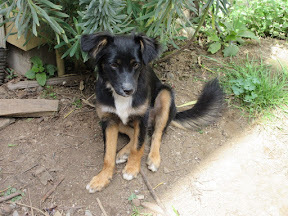 The company also is building a home for R.R. 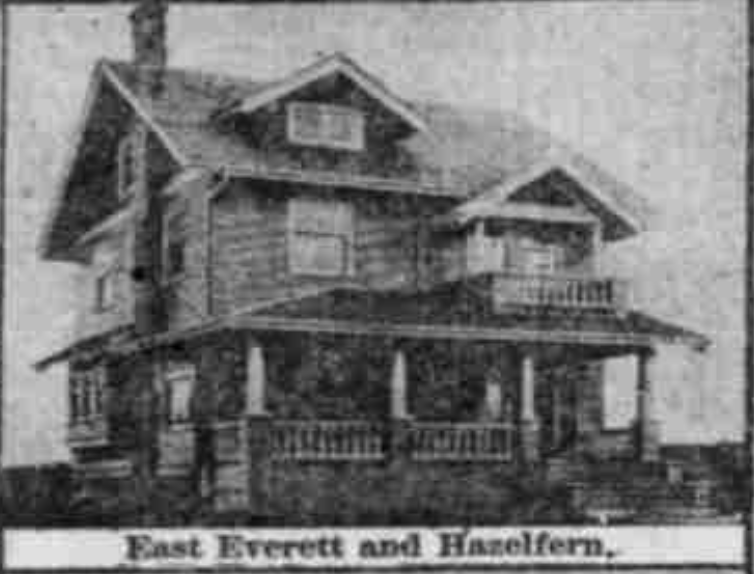 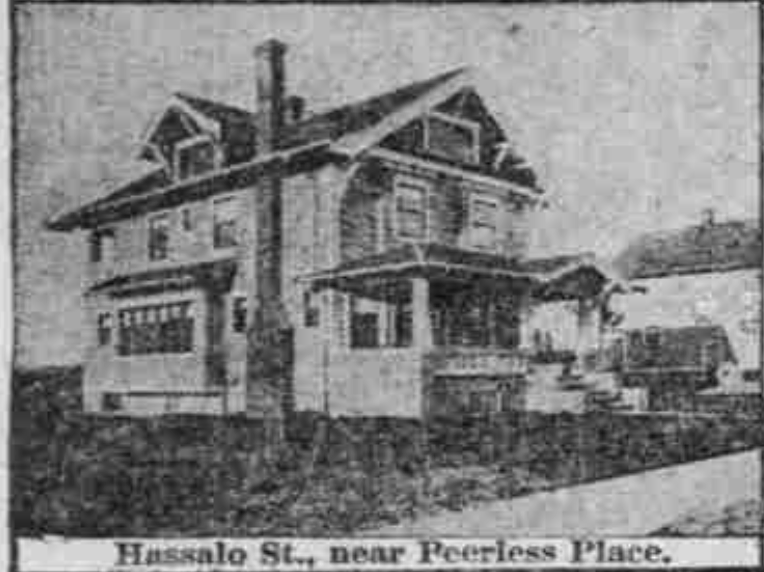 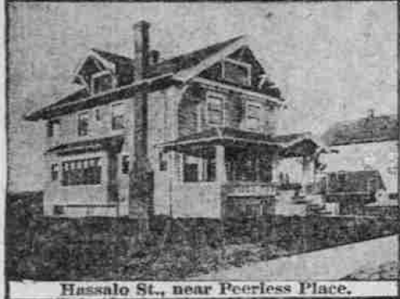 Adams on East Everett and Hazelfern streets (now 3502 NE Flanders), Laurelhurst, at a cost of $7500. 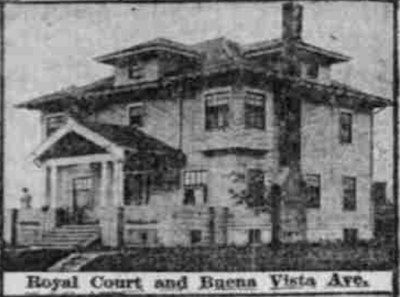 Some very handsome homes there! 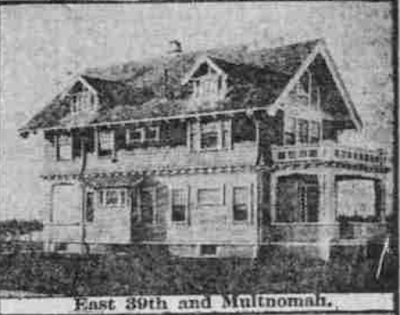 Have you considered posting some side-by-side photos of the same houses today taken from the same perspective? 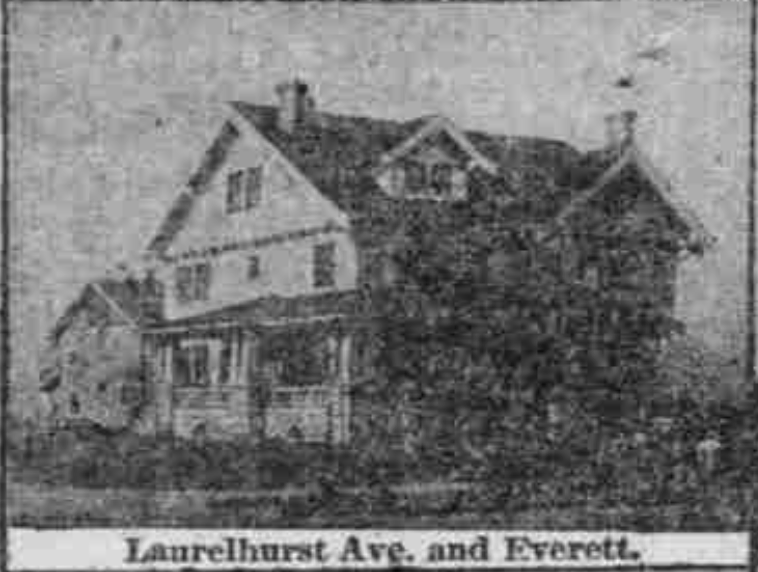 I always enjoy seeing those. 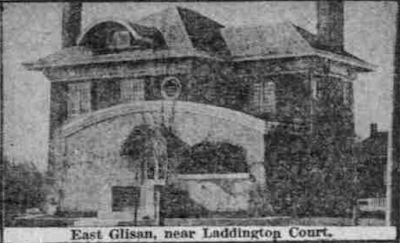 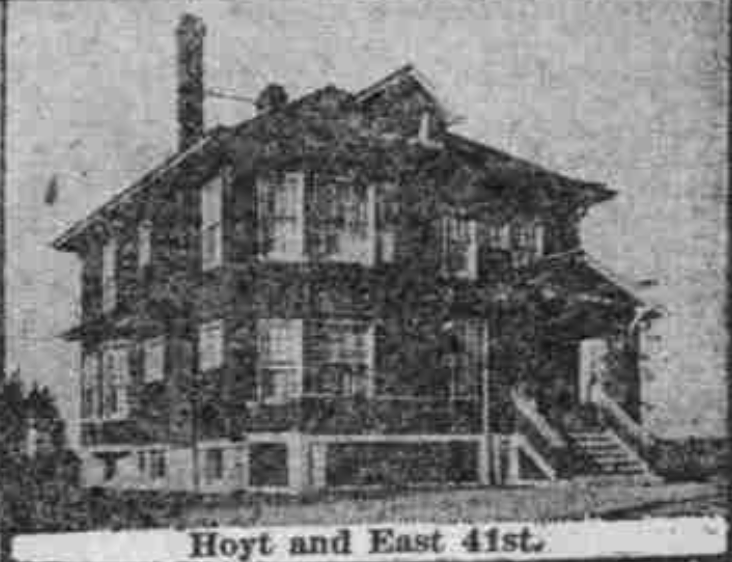 I was able to find several very early photos of our last home in Omaha, but only because it was visible in the side of a photo of the large and much more notable apartment building down the street. 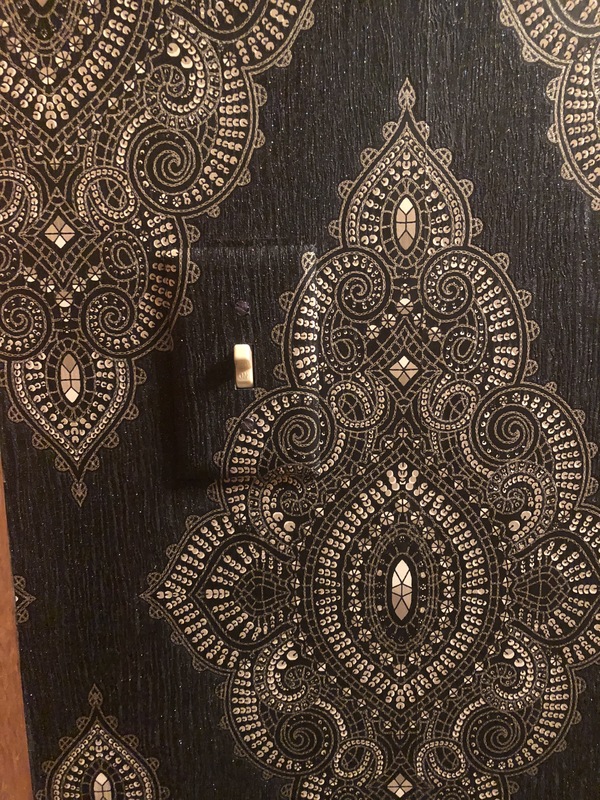 Quite the happy coincidence! 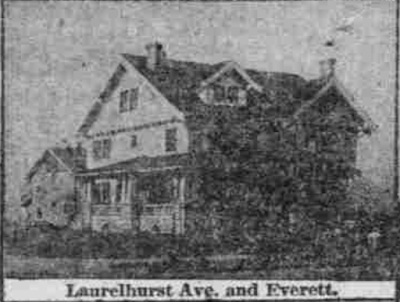 I might try, but it's usually much harder now to get photos because there are often so many trees and cars blocking view of the houses. 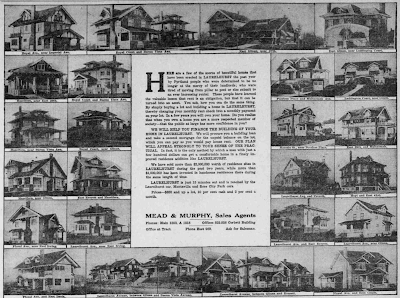 This fall, weather permitting, I'll probably set out with a list of houses to photograph. 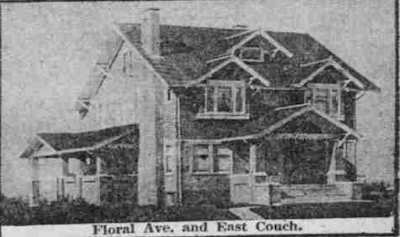 Thanks for the suggestion. I'm glad you were lucky enough to find a photo of your house. 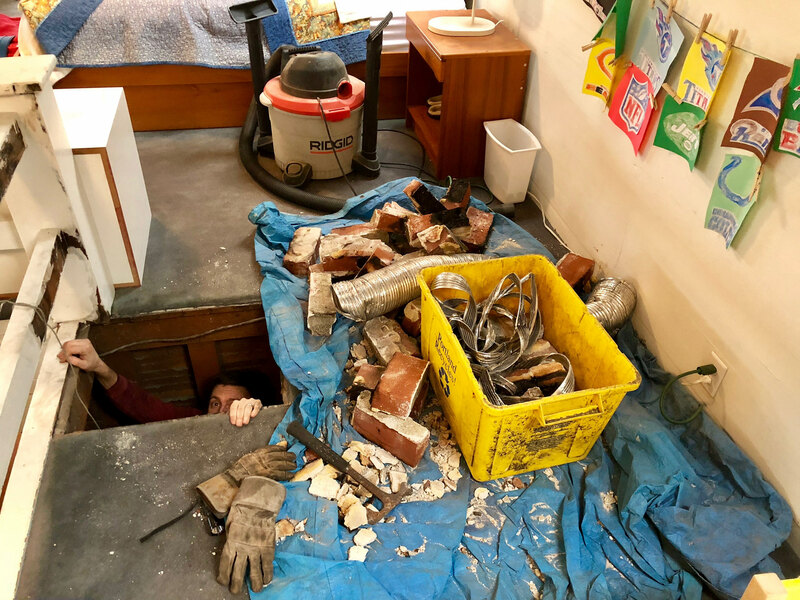 I'll keep looking.